CINCINNATI -- For many wannabe MLB stars, joining the Cubs is like a fairytale come true. For these guys, it really is. It was Dress Up Days for Cubs rookies Kris Bryant, Carl Edwards, and Kyle Schwarber among others. The veterans had a good laugh while their younger counterparts wore dresses of famous heroines. Bryant was Elsa while Schwarber was Little Red Riding Hood. The Cubs were celebrating their 5th straight win, a win closer to home-field advantage for the wildcard game, and a sweep of the Cincinnati Reds. 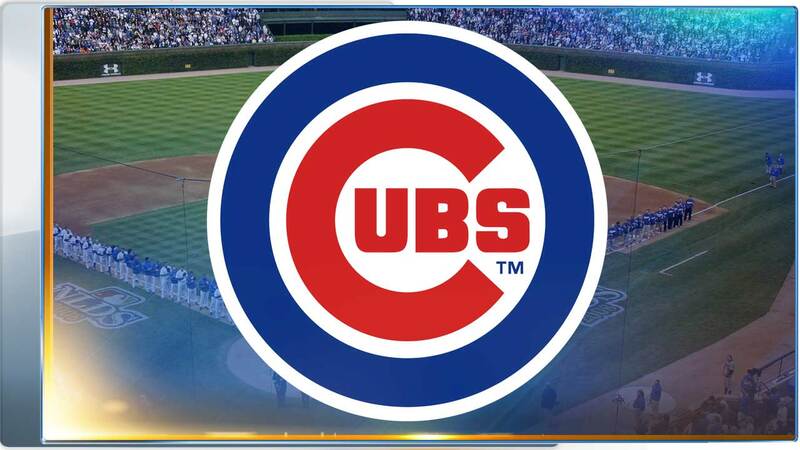 Jackson hit a three-run homer in the third inning, Anthony Rizzo added an RBI double and the Chicago Cubs kept alive their slim hopes for home-field advantage in the wild-card game with a 5-3 victory over Cincinnati on Thursday. It was the Reds' 12th straight loss. "Austin Jackson got hot in this series and did some damage," Reds manager Bryan Price said. "He got the second slider in the sequence and hit it out." The Reds acquired Lamb (1-5) in a trade with Kansas City for Johnny Cueto. Lamb got his first taste of the big leagues. "It might be perceived as one pitch but a couple walks preceded the home run," Lamb said. "I don't know why things happen but when I fall behind it doesn't up our chances. I need to be prepared to pitch. I need to do what got me here and find a way to believe in myself." Chris Denorfia also drove in a run and the Cubs overcame two errors to move within two games of idle Pittsburgh in the race for home field in Wednesday's NL wild-card playoff game. Both teams have three to play - Chicago in Milwaukee and the Pirates against the Reds in Pittsburgh. Joey Votto's seventh-inning RBI single extended to 47 his streak of consecutive games in which he's reached base at least once, the longest since Kevin Millar's 52-game stretch in 2007. Votto's streak is second-longest in Cincinnati franchise history to Pete Rose's 48-game stretch in 1978, when he tied the NL record with a 44-game hitting streak. "The caveat to a terrible season is the guys haven't quit," Price said. "Geez, Louise Votto crushed the ball in the first that I thought was going out, then hit a smash up the middle off the pitcher that was an out, then had two hits." Votto sat out Wednesday's game because of a sore back but rebounded with solid contact in four of his five at-bats. The Reds finished 0-7 on their last home stand of the season. They lost their last eight home games to close with a 34-47 home record, the worst at Great American Ball Park and the franchise worst since the 2001 team finished 27-54 in 2001. The dozen consecutive defeats match the mark set by the 1993 team - the franchise's longest losing streak in 70 years. The 1945 Reds dropped 13 games in a row. "We anticipated having a competitive season. It lasted a third of the way through the year. We had to move some pieces. We know where we're headed but the won-loss situation is hard to work through." Thursday's crowd of 26,352 pushed Cincinnati's season total to 2,419,506, down 57,158 in a season during which the Reds hosted the All-Star Game from last season's 2,476,664. Jason Hammel (10-7) turned in five shutout innings to match his single-season career high in wins. He allowed five hits and zero walks to reach 10 wins for the fourth time. Hector Rondon, the sixth Cubs reliever, pitched the ninth for his 29th save. Jackson, who drove in a career-high five runs in Chicago's 10-3 win Wednesday, followed one-out walks by Addison Russell and Dexter Fowler in the third inning with his ninth homer of the season and first with the Cubs since being acquired from Seattle on Aug. 31. "It's been a nice month for him the last two nights," Cubs' manager Joe Maddon quipped. Cubs: C Miguel Montero was given a day game off after catching Wednesday's night game. Manager Joe Maddon said Montero also will be off Sunday, with veteran David Ross getting the start. Reds: RHP Jon Moscot was to continue working out at Cincinnati's Goodyear, Arizona, complex after completing a successful bullpen session Wednesday. Moscot is coming back from surgery in June for a dislocated left shoulder. Cubs: They open a three-game series at Milwaukee with RHP and Cy Young Award candidate Jake Arrieta (21-6) making his final regular-season appearance. Reds: RHP Keyvius Sampson (2-6) is Cincinnati's scheduled starter in the first of a three-game series at Pittsburgh. Reds LHP John Lamb burned a drawn-in Cubs outfield for his first career professional hit, a double to left on what otherwise would have been a routine fly. "There has been a lot of chatter, thinking I might be able to hit," Lamb said. The Cubs took the season series 13-6 from the Reds with the three-game sweep. The Reds had won the previous five season series.